Inspired by traditional art of Swedish Flen Muncipality, this stunning swedish rug crossword is not afraid of experimenting by mixing well-known classics and modern approach. 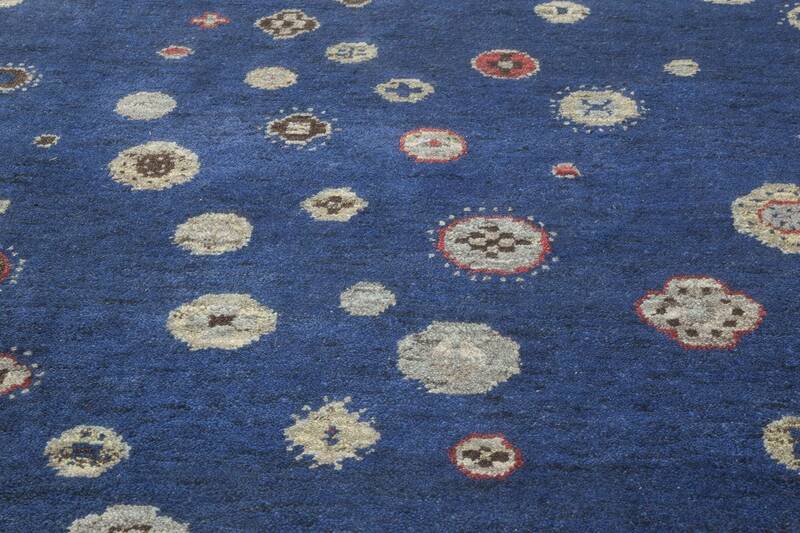 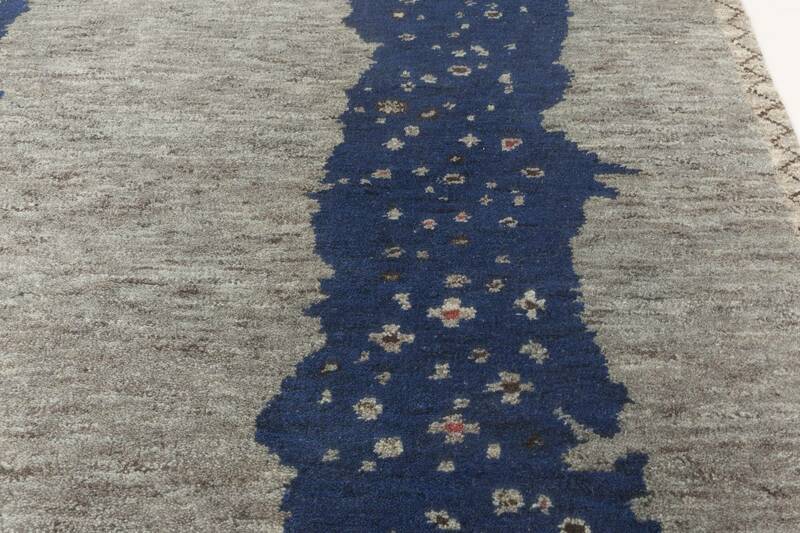 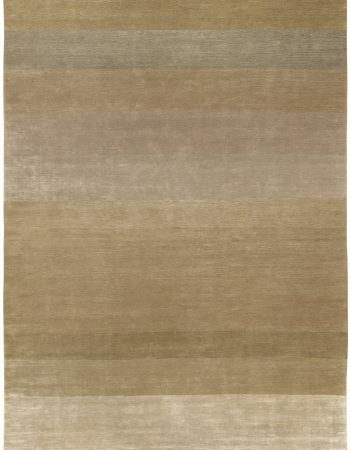 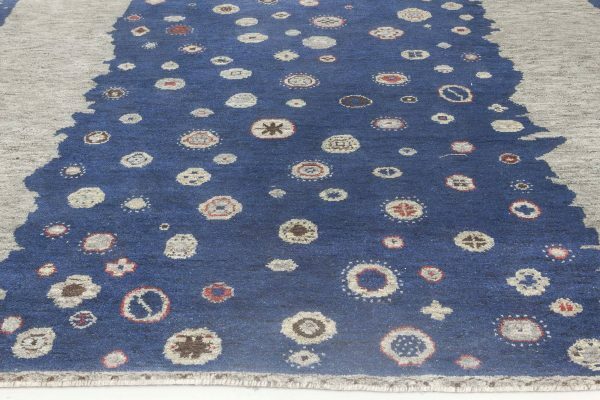 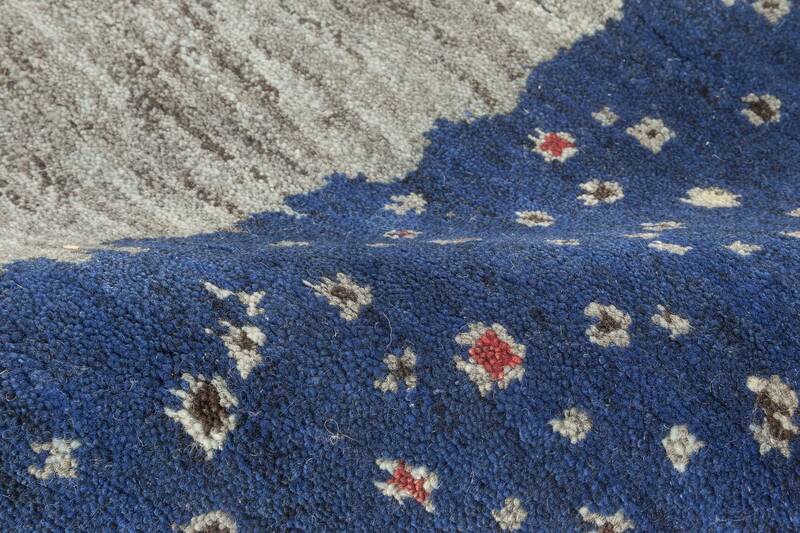 Delightfully soft pile of the modern rug was achieved thanks to knotting its woolen pile by hand. 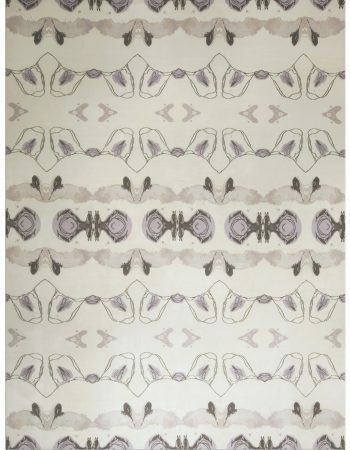 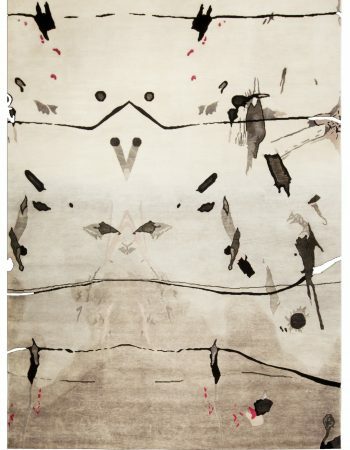 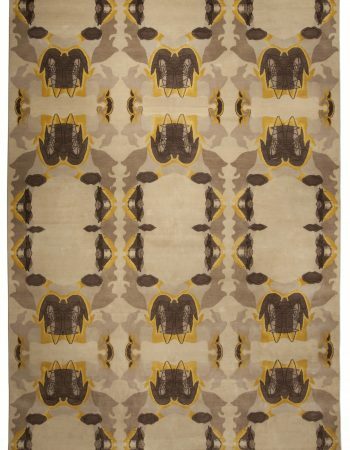 While the pattern includes a very traditional, slightly abstract motif, the way it is presented looks undoubtedly modern. 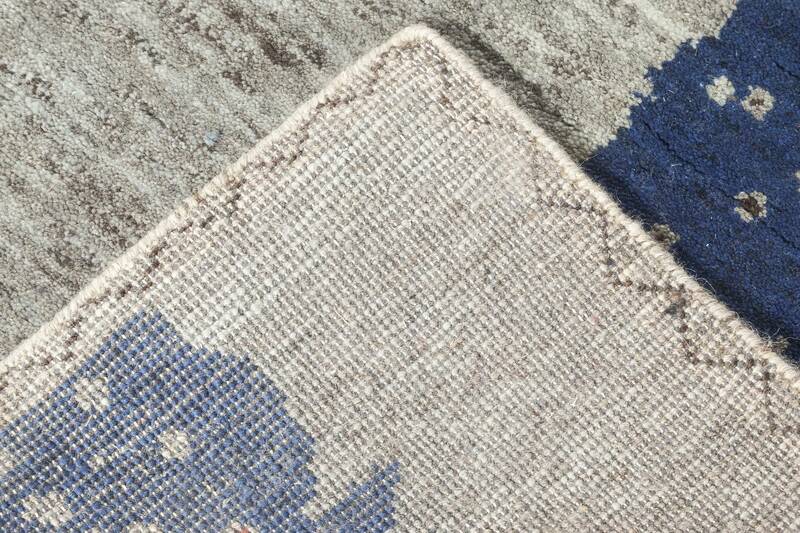 One wide and two thinner patterned strips present themselves as if someone ripped a part of the pile to uncover them. 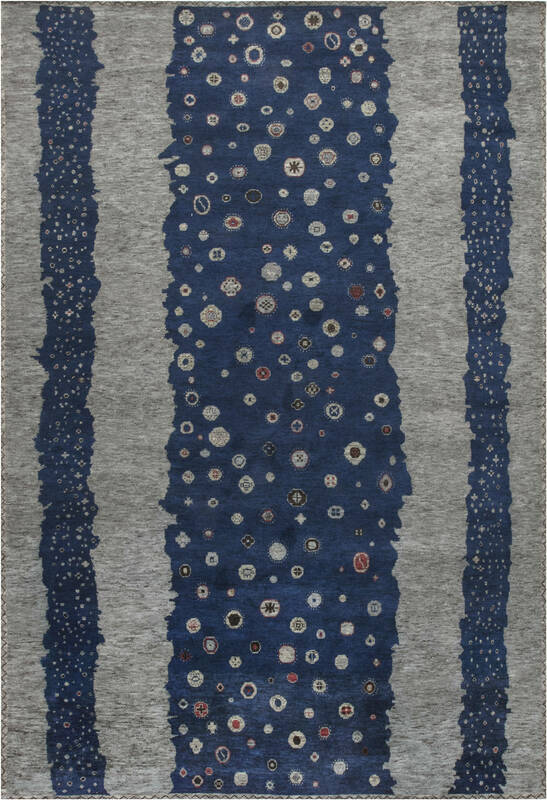 Color palette of this piece contains mostly deep navy and steely gray with tiny bits of black, beige and red. If someone is looking for an iconic item for his or her home – the answer lies before him. 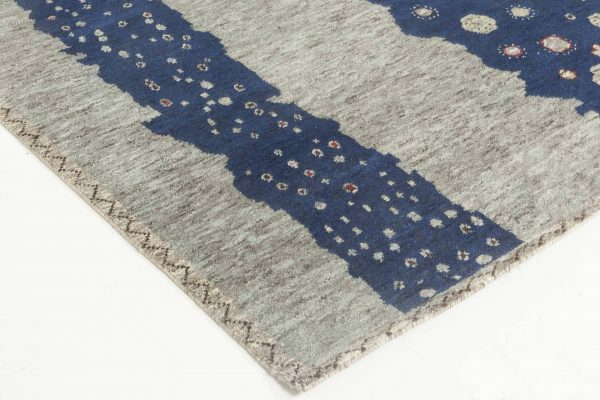 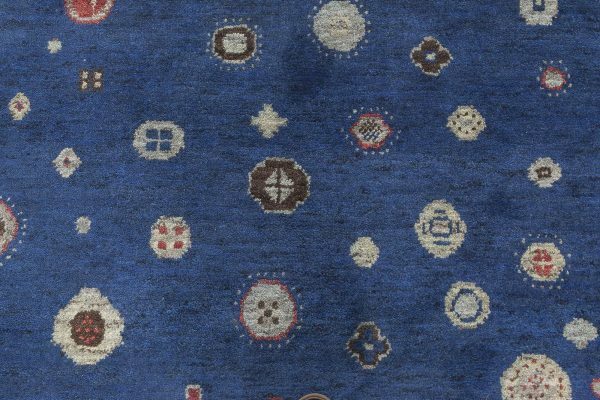 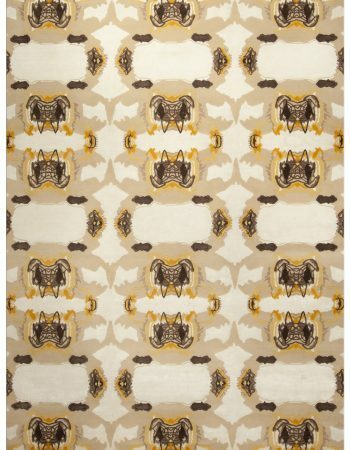 Although recently made, Swedish-inspired rugs stay true to the best traditions of Scandinavian craftsmanship. And nowadays there is almost nothing as widely acclaimed and desired in the world of interior design as the Northern carpets.